To further your knowledge and comfort for embracing herbal and complementary medicine, I’ve included plants earmarked for different systems/body parts/complaints/tonics. As well, suggestions for their usage and information about their different actions and energies. The natural balance of plants has served humans for thousands of years not only as a food source but as a medicinal one. Mans evolution has developed a synergistic compatibility with the biochemistry of plants. Since ancient times, plants have been used as medicine but have been studied more extensively in recent years. As with other traditional and complementary therapies, herbal medicine endeavors to resolve the underlying imbalance and disharmony of the whole person. The availability of plants active constituents to the human body, when taken properly, stimulates our inherent ability to apply the healing energy needed to return the body to homeostasis. Balance and harmony are key components in the gentle healing quality of herbal tonics. The plant kingdom plays a fundamental role in health maintenance and disease prevention. Due to increased interest in natural healing, herbal medicine has gained much popularity. Herbal tonics build the energy in an organ or system, often recommended when the body is run down and weak. Tonics may be used in recovery from either acute aliments or chronic disease. As with all medicine, tonics must be used with the greatest respect. Tonic herbs that primarily nourish the system and organs are referred to as Yin tonics. Formulas which act to stimulate and balance the energy of organs while increasing their ability to utilize nutrients are known as Yang tonics. Usually the milder yin tonics are first used. Yin tonics are usually the flower, fruit and leaf of herbs. Nutritiously rich herbs create a supportive healing environment which forms a foundation for the cells in the process of renewal. These tonics are most often seen coupled with food, like garlic and parsley or seaweeds. Other choices include alfalfa, nettle, dandelion leaf and watercress. Yang tonics are typically roots and barks of plants. The most valuable being the Chinese root herbs: Astragalus, Dong Quai, Ginger and Ginseng. Western Yang tonics include Angelica, Burdock, Oregon grape, Garlic, and Valerian. Plant actions are divided into a number of different classifications. The active constituents found in tonics can impact the whole body, part of the body or act as a gentle normalizer. Normalizing tonics have a gentle, harmonizing effect while providing the necessary trace elements, vitamins, minerals and medicinal substances to help return the body to health. Plants affecting the whole body are herbs that fight infections and kill microbes such as Echinacea, Golden seal root and Bearberry. A specific plant component affecting only part of the body in overwhelming fashion is seen with the opium poppy. The impact of this one plant chemical is so great that the effects of the whole plant go unnoticed. Digitalis, also known as Foxglove is another example, used for the treatment of cardiac aliments and to make heart medication. Tonic ingredients are available in a variety of preparations: loose leaf, powdered root, capsules, tinctures and extracts or as whole, fresh food. The best sources for bulk and packaged herbs are from health food and whole food stores where as bottled preparations may also be purchased at some grocery stores. Fresh herbs are most abundant at your local food store or grown in your garden. Typically you should not have trouble finding bulk herbs or other preparations if you live near a large city, otherwise there are mail order companies. Check the internet for information on suppliers. Methods of Preparation for Bulk or Fresh Herbs: Tea is one of the most common preparations, either as an infusion or decoction. An infusion is made like a tea, combining boiling water with the more fragile plant parts; leaves, flowers, fruit, and seeds. This method minimizes loss of delicate volatile oils while extricating vitamins, minerals and many other plant constituents. Place 1 to 2 tablespoons of dried herb in a container with 1 pint of boiling water, cover tightly and steep for 10 to 20 minutes. When extracting the more tenacious plant components found in roots, barks, nuts and non aromatic seeds, the method of decoction is used. Generally, about 2 to 3 tablespoons of dried herb per quart of water; simmer for 15 to 20 minutes. It is impractical to make a small amount of tea for this method. Roots high in volatile oils such as Golden seal root, Valerian root, Cinnamon bark and Burdock root should be infused. Bruise fresh herbs either by rubbing between the hands or using a pestle and mortar. The following herbal tonics for various systems in the body will have a wide range of actions such as carminatives, stimulating, laxative, demulcents, diuretics and many more. Nervous system: Valerian root, hops, chamomile oatstraw and skullcap are examples of nerve tonics. These herbs feed, tone, rehabilitate and strengthen the nervous system. 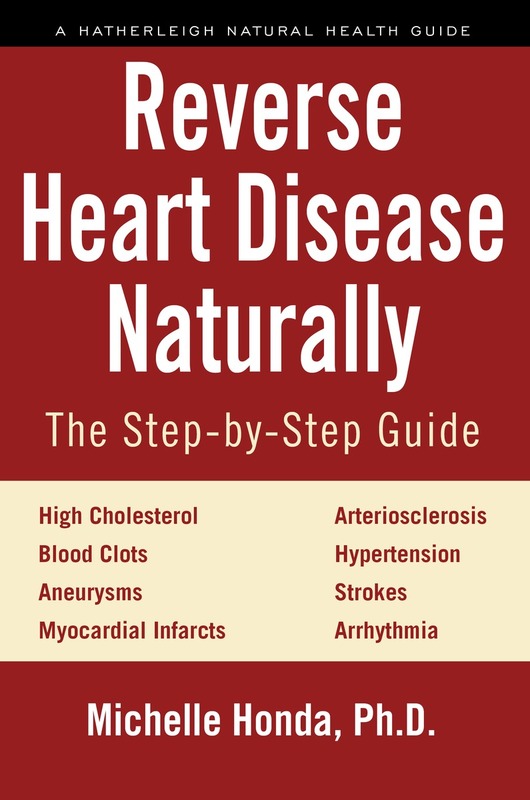 Cardiovascular support: Hawthorne berry, buckwheat, ginkgo biloba, motherwort and linden when combined together, will strengthen the arteries, veins and capillaries while increasing circulation and removal of debris. Immune system: Echinacea, astragalus, ginseng and golden seal root are highly acclaimed for their immune boosting properties. Cat’s claw, olive leaf extract and Paw paw are drawing much attention for their immune support and tonic abilities. Respiratory: Lobelia is one of the most beneficial herbs for the respiratory system, often seen with other herbal combinations to further their effectiveness. 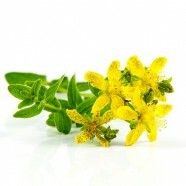 Coltsfoot, mullein and elecampane provide anti-spasmodic, toning, anti-inflammatory, soothing and expectorant actions. These may be used in chronic bronchitis, asthma and irritating coughs. 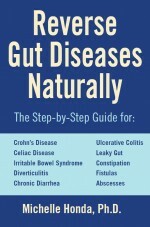 Gastrointestinal Lesions and complaints: Comfrey root or leaf, Slippery Elm bark, Marshmallow root, Yerba Mate, Cats Claw, Argimony, American Cranesbill, Boswellia, Wild Indigo Fennel, Anise, Peppermint, Chamomile and more. Skin: Figwort and Red clover prove valuable for their soothing and cleansing effects in treatment of irritating, itchy skin problems. Red clover is completely safe in treating children’s eczema. These combine well with Nettles, Cleavers, Yellow dock and Burdock. Liver problems and a lack of essential fatty acids (EFA’s) also contribute to itchy skin. Liver: Hepatics like Milk Thistle stimulate the liver enzyme glutamate while providing nourishment. Bogbean, Centaury, Dandelion and Gentian are bitter tonics. Properties in bitter herbs enhance liver performance, stimulate the appetite and improve nutrient absorption by assisting digestion. Hot flashes: Hundreds of studies show Black Cohosh reduces hot flashes and was proven not to be estrogenic. To achieve absolute benefit, consume for 12 weeks and when accompanied with other herbs and supplements, it works even better. Research of 2004 showed black cohosh inhibits the growth of cancer cells in the Petri dish. Also for those women on the cancer drug Tamoxifen who can have up to 50 hot flashes a day, it reduced flashes and enhanced drug performance. Skeletal system: Herbs benefiting bones and connective tissue are high in silica found in Comfrey and Horsetail. The mineral silicon strengthens, activates bone formation and helps hold calcium in the bones. Silicon also repairs the nerve sheath. Nettles, alfalfa and kelp are plants possessing many elements instrumental in the repair, nourishment and prevention of future deficiencies throughout the body. Urinary: Cornsilk, Marshmallow root, Uva ursi, Buchu leaves, and Parsley or Gravel root are prized for their actions when needed as a urinary antiseptic or diuretic; especially for painful urination or infection problems like cystitis. The properties in these herbs have soothing and healing effects for any condition related to the urinary tract. Unlike plants who acquire their nourishment through photo-synthesis, we must rely on food to supply us with the nutrients we need: proteins, vitamins, minerals, enzymes, carbohydrates and fats. Nutrition enables the body to regenerate itself, ensuring health and wellness. Herbs offer a fresh, aromatic and therapeutic quality to our food, helping people maintain their personal peak of vitality. The restorative power of plants supports the natural functions of the body, strengthening and renewing from within.